Reading about the young Nobel Prize winner Malala Yousafzai, this link to an earlier film about her life appeared. Watching it I was struck by her shy smile, the rushing waters where she lived in northern Pakistan and the inescapable violence that surrounded her. But I was also fascinated by her parents–the never photographed mother and her charismatic father. Early on in the video her father explains to the filmamker that though Malala wants to become a doctor he wants her to go into politics because he thinks she could effect more change in the world that way. His statement is chilling knowing what we know now, that little Malala would later be shot in the head by the Taliban but would recover and go on to be an activist for female education eventually becoming the youngest recipient of the Nobel Peace Prize. Some time ago I read a study showing that though a mother can do much to direct a girl’s life, a father’s example and expectations have an even bigger impact on his daughter. Certainly Malala’s did on her as my father’s did on me. 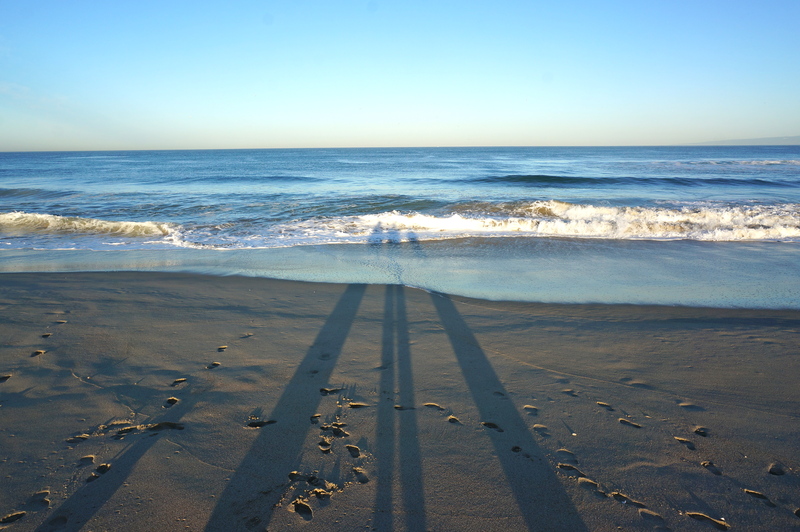 Their shadows stretch out long before us much like the shadows of me and two young parents as we recently watched their children play in the surf. 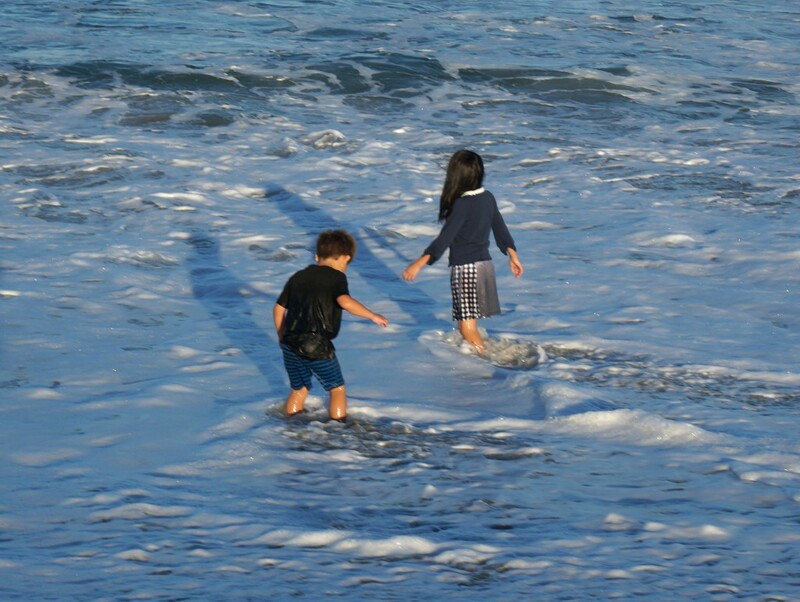 May the shadows we all cast on our children be ones of encouragement and sound direction. May they provide shelter for them as they navigate troubled waters. Why short men make better husbands. Do design pros have an obligation to dress up? For the glasses wearers and writers out there, a curmudgeonly but thought-provoking interview with Thornton Wilder. How to tour a museum using the “slow art” method. Is your stationary stash up to snuff? And finally, Annie Lenox puts her own spin on a classic. This entry was posted in Shelter, Spirit, Style, Sustenance and tagged Annie Lennox, art, Malala Yousafzai, Nobel Prize, parenting, relationships, stationary, writing. Bookmark the permalink. Post a comment or leave a trackback: Trackback URL. Is there much in this world better than Annie Lennox? And in terms of the long shadows, I find myself hoping that things have changed. That moms can affect their daughters just as much as their fathers, now that we’ve moved out into the world too.